As part of its Smart Electricity Grids funding initiative the Federal Ministry of Education and Research (BMBF) supports a new interdisciplinary research project at Jacobs University. The goal of the new project named Analysis and Management of Stochastic Fluctuations in the Net’ is to analyze the effect of fluctuations, both in the generation and consumption of electricity, on the stability of the electricity grid. Stefan Kettemann and Hildegard Meyer-Ortmanns, Professors of Theoretical Physics, and Gert Brunekreeft, Adjunct Professor of Energy Economics at Jacobs University are at the helm of the three-year project, which is funded with a grant of €548,600. Within the framework of the Smart Electricity Grids funding initiative by the Federal Ministry of Education and Research (BMBF), Jacobs University – represented by Stefan Kettemann and Hildegard Meyer-Ortmanns, Professors of Theoretical Physics, and Gert Brunekreeft, Adjunct Professor for Energy Economics – hosts a new research project on the ‘Analysis and Management of Stochastic Fluctuations in the Net’. The project started in September 2014 and is due to last for three years, being funded by the BMBF with a budget of € 548,600 EUR. The research is part of an overall joint interdisciplinary project called ‘ConDyNet: Collective Nonlinear Dynamics of Complex Power Grids’, which is a collaboration between Jacobs University, the Potsdam Institute for Climate Impact Research, the Max-Planck-Institute for Dynamics and Self-Organisation (Göttingen), the Frankfurt Institute for Advanced Studies, and the Research Center Jülich. Further collaboration partners are IFAM Bremen, OFFIS Oldenburg, the Siemens AG and Wirsol Integrated PV Solutions. Jacobs University will perform interdisciplinary research on the technological consequences of stochastic fluctuations for the efficiency and dynamical stability of electricity grids. Such fluctuations may arise from geographical and time fluctuations of the energy generation and the electricity demand, as well as from a failure of the infrastructure. At the same time, economical guidance systems will be developed, in order to integrate decentralized energy generators and consumers optimally into the operation and adaptation of the grid. The results can then be used for the optimization of electricity grids and for the development of economic measures for grid stabilization. Thereby it will contribute to the energy transition towards a stable and sustainable electricity supply of renewable energy such as solar and wind energy. The Federal Ministry for Economic Affairs and Energy and the Federal Ministry of Education and Research has recently allocated €157 million for the Smart-Energy Grids funding initiative, thus boosting current funding activities in this sector. The aim of the initiative is to improve cooperation between industry and research along the entire value chain, and to assist research cooperation on an international level. Ultimately, the initiative will improve the environmental compatibility, economic viability and resource efficiency of the German electricity grid, and secure electricity supplies in Germany. 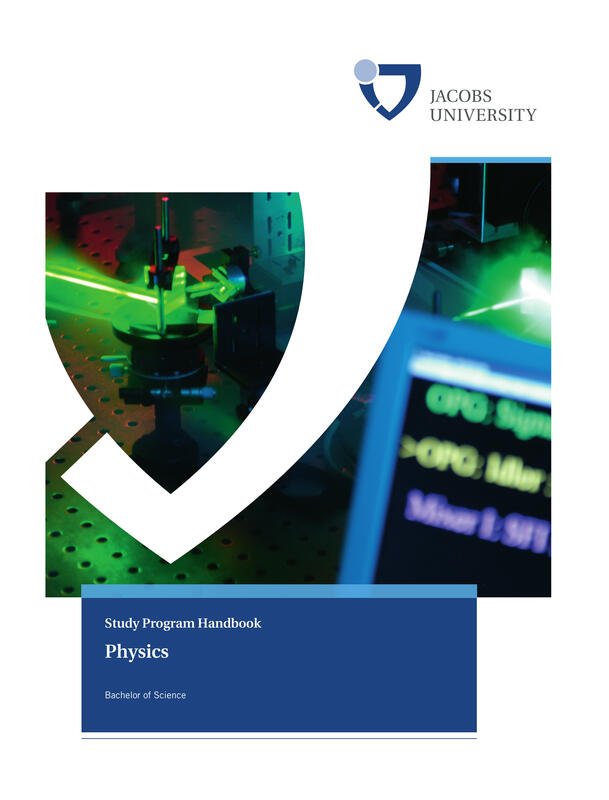 More details on the Physics BSc program can be found in the Program Handbook below.